Music Education is our PASSION at REW Music. It is our mission to promote the VALUE of MUSIC EDUCATION by providing opportunities to experience and create music through quality products, service and knowledge in an honest and ethical manner. REW Music takes pride in being a family-owned music store for over 30 years serving generations of budding aspiring musicians. With a focus on Music Education, REW Music offers more than just quality products and service. We also offer a comprehensive private lesson program that compares to no other. Our School of Music instructors are dedicated to creating individualized lesson plans for each student along with offering additional small group classes designed to develop a well rounded musician. REW Music is a family owned and operated business that has been serving the greater Kansas City area for almost 30 years. Music education and school service is our top priority, and we are committed to ensuring your family has the best possible experience with music. At REW Music, you will find high quality beginner instruments to rent or buy, top quality instructors for music lessons, and a speedy, reliable repair department to keep your instruments working their best. How did R.E.W. Music get started? The owner, Bob Woeppel (R.E.W. ), and his wife, Jacki, both graduated from college with degrees in music education. They spent time in the classroom as directors getting hands on experience and learning about the many needs of a school music program . After becoming a certified repair technician, Bob began repairing instruments for local schools out of his home and named the business "R.E.W. Band & Orchestra." As the business grew, the Woeppel's transferred R.E.W. Band & Orchestra from their home to a small store front in Old Town Lenexa where they expanded the business by offering instrument accessories and private lessons in addition to repair service. After quickly outgrowing that location they moved to 8443 Quivira where they continued to expand and grow the business for another 20 years. In 2006 they moved to 12006 W 87th St. Pkwy then in August 2015 they were thrilled to move to their current location at 12842 W 87th St where they were able to expand and provide more classroom and education space. In the summer of 2006, R.E.W. Band & Orchestra officially changed their name to REW Music, and in August 2006, a second location was opened in Olathe, Kansas. Over the past two decades, the business's growth has allowed REW Music to serve most of the greater Kansas City area. What contributes to R.E.W. 's success? Bob spends much of his time each week visiting several Kansas City area schools to make sure that their musical needs are being met. 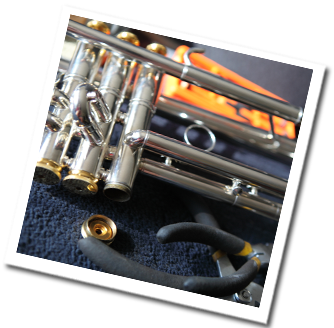 The primary goal of REW Music has always been the advancement and quality of music education: the instruments we choose for the beginning student, the repair department, the private lessons we offer, and more. Everything is done with your student's best interest at heart. We want you to feel comfortable when you come into our store. At REW Music, we strive to offer old-fashioned, family-style service.